This summer, while travelling to some of the worst drought affected rural areas of Odisha and Chhattisgarh, I bumped into about three broad scenarios as far as ‘toilet use’ is concerned. First, many villages – especially the remote ones majorly inhabited by indigenous communities – had no toilet at all; second, a few villagers had toilets but most remained unused; and third, where there were a few toilets, only the aged and ailing were using them. Of the approximately 20 villages I visited, I could safely say that 99 per cent of the people practiced open defecation, even though toilets were available for about 10 per cent of the population visited, and a few more were under construction. The 2014-2016 drought period has had a phenomenal impact on use of toilets in rural areas as these villages have been afflicted with severest of water crises in their lifetime. The world is getting hotter by the day and India’s water resources are declining in a fast pace owing to the growing temperature and related impacts. 2014 was the hottest year in the history of meteorological records, that was broken by 2015 and now with 2016 all set to break that record. Climate change is to blame for this. Just consider the decrease in water availability of Mahanadi river, India’s sixth largest and lifeline of both the states mentioned in this article and it is clear that mere possession of toilets would not mean that people would use it. The river has deficit in water yield by as huge as 10 per cent in recent decades owing to decreasing monsoon rainfall due to climate change. In normal times too people don’t use toilets because of lack of water supply. In times of drought, when people have to travel more and spend up to 300 to 400 per cent more time in collecting water – as observed during my study in these villages – people would for sure abandon the toilets. This exactly what they relayed to me. For toilets to be used, besides many other factors, water security is a must. Or else, we need to invent effective dry toilets, which currently seems to be a distant dream. This entry was posted in Uncategorized and tagged Chattisgarh, Clean, Clean india, Climate, Climate change, Drought, Green, india, Odisha, River, rural, rural india, sanitation, Swachh, toilets, WASH, water, Water bodies. India has a serious sanitation challenge; around 60 per cent of the worlds open defecation takes place in India. Even today, only around 28,000 gram panchayats out of 2.5 lakh in India have achieved the Nirmal Gram (open defecation free village) status. Poor sanitation causes health hazards including diarrhoea, particularly in children under 5 years of age, malnutrition and deficiencies in physical development and cognitive ability. We have to work with children and communities to realise their right to clean and adequate qualities of drinking water, sanitation and hygiene since they have direct bearing on the right to life and dignity. Lack of these entitlements and services in the communities put children at risk of disease and mortality. When access to water is difficult or schools are without toilets, many children (especially girls) face increased burdens on their time and risks to their learning and safety. Lack of Operation and Maintenance (O&M) funds and dedicated workers for toilet block maintenance results in slip back. Poor and marginalised families who are living with income poverty find it challenging to pay for these services hence the emphasis is on invoking the responsibility of the government for its provision. We have to address the issues of poor sanitation, which seep into every aspect of life – health, nutrition, development, economy, dignity and empowerment. It perpetuates an intergenerational cycle of poverty and deprivation. To meet the country’s sanitation and hygiene challenge there is an urgent need to focus on triggering the demand for improved sanitation facilities, ensuring their quality, use and maintenance. This is achieved by creating a culture of “social sanctions” that challenges the acceptance of open defecation once and for all. Making this happen requires substantial resource and time investment to inculcate a lasting change in behaviour and adoption of key hygiene practices at the community and household level. – R K Srinivasan, WASH Technical Advisor, Plan India. Under the guidance of the Director, Strategy, New Delhi Office, responsible for facilitating and influencing the State Government’s evidence based policy, planning, implementation, monitoring and evaluation, and documentation for WASH sector plans and projects. Supporting state and District level, Plan Staff and Plan Partner staff in community based WASH intervention. Leadership and sector specific guidance from the Key Resource Centre (KRC), created by the Ministry of Drinking Water supply and Sanitation, New Delhi. This entry was posted in Uncategorized and tagged BUMT, Clean india, india, Plan India, sanitation, SBM, swachh bharat, toilets, WASH.
What is Swachh Bharat? How’s it going in the field truly? Is the government really delivering on this mission? We are bombarded with such questions every day whenever we are introduced as people working sanitation. The problem with that question is that it somehow places the whole issue external to the person asking the question – they are honest seekers of information, but at the same time that they are asking these questions disturbs me. Here is why these questions make me somewhat unhappy. I am, what is somewhat jestingly called, a development professional…which makes people think of me as either the NGO-jhola (sling bag) type, or the white collar professional sitting in air-conditioned offices writing about development issues, strategies, or “romanticizing” poverty. Admit it – these are the two categories you have already put me in as you are reading this! I have to admit that I am somewhere in between. What is most compelling about my work is that it allows me to collect stories and experiences that heavily influence the work I do – to be an impatient optimist to bring change for the poorest and to spread equity with the underlying belief that all lives have equal value. … Hold on, I am getting to my point about why those questions disturb me. There are many stories I could tell to drive the point home, but let me start with a few…The first story is about one of my journeys when I was leading a trip to see programs “in the field”. As part of my preparatory work I had to spend the night in a village with some colleagues. We slept under the stars (the romance part) on charpoys (jute strung cots). We had been warned to stay close and not wander off at night, since the area was known to have snakes, scorpions and other wild creatures we wouldn’t necessarily want to encounter on our own – more because a bad encounter at night would also disturb my colleagues’ much needed sleep. But come 4:30 am, nature called, and I had to find a safe place to answer it – in pitch dark, scared of venomous creatures waiting to pounce- , and brave the bushes I could find – looking carefully over my shoulder that I wasn’t a tourist site for fellow villagers, colleagues. The story ended happily for me. I managed to find relief and came back quietly and laid down. Ah! the relief that the episode ended and that soon we would be on our way….but wait what about all the other people that shared my starry night? Where do they go in the morning, afternoon and night – every day, every night? How do they deal with this? And the answer is that they do what I did every day of their lives, looking / walking carefully for any creatures – animal, insect or man that might pounce on them and attack, ridicule and humiliate them while they answer the call of nature at not the most convenient times. So they plan what they eat, how much they eat and drink, regardless of what they should and how much they need to eat and drink to stay healthy. And they are attacked and humiliated….even if it’s a soft snigger as they walk past. So for them, Swachh Bharat Mission (SBM) is late in coming…they have needed it for so long and they need it now. SBM is not a regular government delivery program ; it is not something we can be skeptical about; it is not also a research program; or a political agenda – it is life and death for them – more often than we would like to imagine. The next story is about a group of women in Trichy – who work as sanitation motivators. They live in a slum, and didn’t have money /space to construct individual toilets. So, after years of scrambling around in the dark, seeking private places in an ever-crowded space to answer their biological need to urinate and defecate, and walking through the waste that others left outside their homes in the open spaces, they petitioned and got a community toilet built in the area. They now spend hours keeping it clean, being vigilant to keep their slum from becoming a place for people to use as a big open toilet, and looking after general repairs. It is now a part of their everyday life to worry about the community toilet – no broken windows, taps, doors….and often end up paying their own money to keep it going…till they are reimbursed from city budgets…..For them SBM is a key need to ensure that their toilets and that of so many of their fellow city dwellers are kept clean, usable and well maintained. It’s now their lifeline – literally…or else where will they go? Is SBM working for them? The question really is – what have all of us l done to ensure that our cities allow Lakshmi and her brothers, sisters, children, parents in the slum to go freely to a safe, clean toilet when they want, eat what they want and spend time learning, earning and living healthy lives that we take for granted as the rhythm of our life? Can we help my village hosts imagine a world where safe sanitation is a matter of routine for everyone, everywhere?! Something they can take for granted the same way we do! Remember the desperation you feel when you have to wait in queue “to go” at the airport, during a large meeting – now imagine that desperation everyday…. Now let us imagine another reality – that all of us have access to a clean toilet, that the waste is safely collected and disposed and not dumped so that children diving into a natural body of water, are actually jumping into clean waters and NOT into all of our waste? That the water we drink is not tainted with our waste, and that fellow Indians who can’t access fancy RO filters, still get clean water….everyone, everywhere needs this basic facility – not just us….everyone!! Because honestly, that is what SBM is! It’s not a government program. It’s not a political agenda. For Lakshmi, for my village colleagues, for the citizens in the country living in slums, it is the difference between life and death! Can we honestly sit back and watch this from the sidelines, externalize the issues and ask such inane questions as “Is SBM working?”. The question we should be asking is “How can we make this work? What can I do to ensure it works?” Shouldn’t we all be in the trenches – before we have no sidelines left to watch from? Join SBM –….be a part of the Swachh Bharat Mission. How? you ask? Be brave and stop someone from littering…organize community meetings and tell everyone who needs to know about the Mission. Read what the poor are entitled to and spread the word on their rights – to anyone you meet who you think would benefit from knowing about this. Meet your local politician and find out what she is doing to contribute to the mission and how you can help. Because no one person can create a Swachh Bharat – it has to become Mera Bharat Swacch – safe sanitation and a Clean India for me!!! This entry was posted in Uncategorized and tagged Bill & Melinda Gates Foundation, BUMT, Clean india, Government, india, Safe Sanitation, sanitation, SBM, Swachh, Swachh Bharat Mission, Swachh India, toilets, WASH. The Swachh Vidyalaya Initiative taken up since August 2014 by the Ministry of Human Resources Development under the government’s Swachh Bharat Mission (SBM) has aimed at providing toilets, for both girls and boys, in schools that don’t have these facilities. It also aims at making defunct school toilets functional. 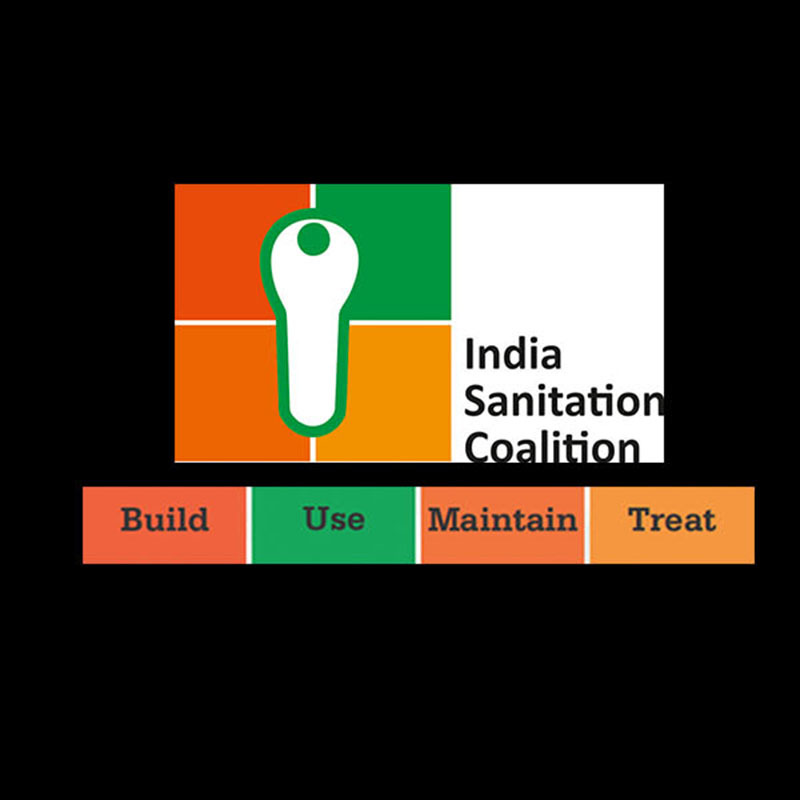 Further, the initiative emphasizes the need to have strong demand / behavior change campaigns to inculcate safe sanitation among children, and through them their parents and families – to consistently use toilets and not practice open defecation, maintain their toilets and also instill strong habits around hand washing. While no comprehensive assessment of this programme is available so far, construction achievement figures are available and are being tracked from across the country. While the news around construction of toilets is encouraging, the larger issues around usability, availability of water, etc. are still far from satisfactorily being addressed. It has been assessed in the latest Swachhta Status report that 4.17 lakh toilets were constructed in 2.61 lakh schools and the target has been achieved. Of this number, only twelve corporate houses have constructed 3,466 toilets. . Ground reports from various areas including states in the North East and East point out that a majority of toilets in water stressed regions are yet to be handed over to school authorities, since no adequate provision for water supply has been made. This seems to be a major challenge and needs to be addressed. Water experts say integrated water resources management is key to solve this crisis. – Shipra Saxena, Program Manager, India Sanitation Coalition. With around 17 years of experience, Shipra has been associated with TARU Leading Edge, Dept. of Drinking Water and Sanitation (Govt. of India), and Water Aid India. Before joining ISC, she was working with Population Foundation of India (PFI). This entry was posted in Uncategorized and tagged BUMT, education, india, loo, sanitation, SBM, schools, Swach, swachh bharat, swachh vidyalaya, toilets, water. Walking through the bustling lanes of Rajouri Garden, West Delhi’s shopping epicenter, one often gets bitten by the splurging bug. For the shopping buffs, it is not merely the experience of picking items randomly but the whole pleasure of going through the process of satisfying the material craving that matters. Traditional Indian market places like Rajouri Garden might be a delightful stopover for women shoppers, however the lack of the most basic facilities like a toilet can make the shopping a harrowing experience. The sprawling market, best known for its bridal wear, does not have a toilet for neither women nor men. Even the glass-chrome shops selling saris, suits and lehngas do not have a washroom facility. Even in the case that there is one available, it is so dirty that one prefers to avoid it. Most salesmen and girls; there are hundreds of them, use a public toilet which is located slightly away from the main complex. Men conveniently use backlanes, or simply a wall, or a corner. Women have no such ‘luxury’. The toilet crisis is not limited to Rajouri Garden alone. It is the same in most markets in Delhi; the coming up of swanky malls has addressed the problem to a great extent. But the old traditional markets, which still remain relevant as they offer great room to bargain, have failed to cater to even the most basic amenity. I sometimes wonder why toilets are not considered an important part of our daily lives in public space. When I was a child I used to visit my ancestral village in Kumoun. Being a Delhi girl, it was unimaginable to stay in a house without a toilet. I was told that toilets are dirty and impure so cannot be inside the house. It was not easy to go to the open field to answer the call of nature. So my visits to my village became less and less, despite the fact that I wanted so much to spend time with my grandmother. The toilets appeared in the villages of Kumoun when I started going to college, but they were still not inside the house. As a young woman reporter, I have been lucky to visit some villages in India, but the toilet story remains the same all across. As a working journalist, one experiences the problem while on assignments. If you are covering a rally away from Delhi, men find it so easy to relieve themselves but women go through hell. No arrangements are made by the organisers as they expect women also to go to the fields. And many of us have done it often. During a visit to Lucknow (to see changes in educational institutions), I was horrified to see that tiny toddlers (mostly girls) would go home from school every time they had to ease themselves. This was the main reason the teachers said the parents don’t send girls to school. I felt ashamed that despite so many years of independence we are not able to provide toilets to our children. This was some years ago. I hope situation has changed now. I visited Greater Noida last year and was pleasantly surprised to see a nicely built toilet in a government school. But I soon discovered that it was merely a showpiece as the toilet could not be used because of no water. Girls didn’t use the toilet. They had nowhere to go during the school hours and wait to reach home. Most of them had not even heard of problems like Urinary Tract Infection (UTI) which can be contracted by holding the bladder for too long. Well, there are countless other stories I can narrate about the missing toilet and how it has impacted the society; mostly girls. Through this blog the attempt is to create awareness and also to also create a buzz about the need for sanitation in India. And it is not the duty of the Prime Minister Narendra Modi alone (who had promised from the ramparts of the Red Fort during his maiden speech about building toilets and making India clean), it is the duty of every Indian. — Kavita Bajeli-Datt has been writing on development, women, child and health issues for the last 20 years. She was awarded Deepalaya award for best writing on child rights in 2000. Kavita is an avid traveler and loves to explore new territories. Her travel pieces have appeared in several publications across the world. Kavita has worked in The Week and Press Trust of India (PTI). She was the Chief of Bureau in the IANS (Indo-Asian News Service) where she spearheaded the news coverage. She is also an accomplished Kathak dancer and performed in India and abroad. She is working as an Independent writer contributing for various publications, including IANS and Tribune. She is also a member of the Advocacy, Branding and Communications (ABC) Task Force of India Sanitation Coalition (ISC). This entry was posted in Uncategorized and tagged delhi, india, journalism, public space, sanitation, shopping, toilets.